← Spot the Computer Science Student and Win! I know that I learn best when I’m inspired and engaged, so I regularly look for things around me that I can bring into the classroom that go beyond “program this” or “design that”. Our students are surrounded by the real world and, unfortunately, it’s easy to understand why they might be influenced by things that are less than inspirational. I don’t want to be negative, but there are so many examples of bad behaviour on the national and international stage that, sometimes, you really wonder why you bother. So, today, I’m going to talk about four people. Regrettably, three of them some of you won’t be able to talk about because of personal convictions, political considerations or the ages of your class, but I hope that most of you will either have learned something new or remembered something important by the time I’m finished. Are these people actually heroes, given the title of my post? Well, one is a professional inspiration to me, one is an artistic inspiration to me (and reminder of the importance of what I’m doing), one is generally inspiring in the area of democracy and dedication, and the other… well, the other, I can barely look at his picture without wondering if I could ever approach the level of selflessness and heroism that he demonstrated. But I’ll talk about him last. 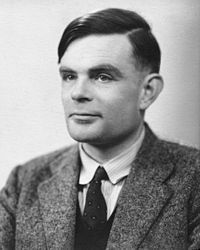 Of course, some of you can’t mention Turing to your students, because he was a known homosexual, with a conviction for gross indecency in 1952 after admitting to a consensual homosexual relationship. He had a choice between imprisonment or chemical castration (he chose the latter) and his security clearance was revoked and he was barred from continuing with his security work. He was found dead in 1954, having (most likely) committed suicide. There is no doubt that the field I am in is the better (or even exists) for Turing having lived and worked in this field. We are poorer for his early loss and, personally, I’m ashamed that persecution based on his sexual orientation may have led to the premature self-administered death of a genius. Meet Bruno Schulz, author, artist and critic. Schulz wrote some incredible works, contributed murals and was, despite his somewhat hermitic nature, an influential contributor to the arts. Schulz was born and lived, for most of his life, in Drohobych, Galicia. His contributions, although limited by his early death, include the highly influential works “Sanatorium Under the Sign of the Hourglass” and “The Street of Crocodiles”. In 1938, he was awarded the Polish Academy’s Golden Laurel award for his works and translations. I am currently writing a series of stories that were inspired, in part, by the “Sanatorium” with its dreamlike qualities, stories interweaving with unreliable narration and innate and unexpected metamorphoses. Schulz is a fascinating counterpoint to Borges for me, woven with the immersion in Jewish culture I would expect from Singer, but with a different tone that comes from through, even in the English translations I have to read. We have no more works from Schulz, not even the fragments of the book he was working on at the time of his death “The Messiah”. Why was Schulz killed? After the German invasion of the Soviet Union in the Second World War, Drohobych was occupied and, for a time, Schulz (who was Jewish) was protected by a Gestapo officer who admired his artistic work. Unfortunately, another Gestapo officer, a rival of the first, decided to kill this “personal Jew” and shot Schulz on the way home. You will excuse me for being confusing by referring to neither officer by name. This person you may have heard of. 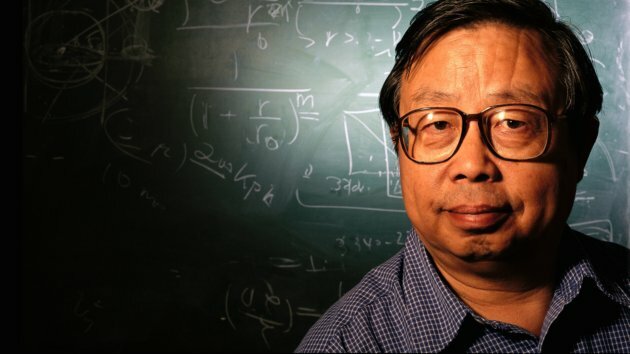 Fang Lizhi died very recently, a Chinese Astrophysicist who lived in exile for over 22 years, after a life spent trying to pursue science despite being politically persona non grata and, for many years, not being able to publish under his own name. He survived hard labour during his re-education by the worker class during the cultural revolution but continued to fight against what he saw as severe obstacles to the pursuit of his scientific aims, including proscriptive ideological opposition to some of the key ideas required to be a successful astrophysicist or cosmologist. In 1989, he was highly instrumental in the movement that occupied Tiananmen Square, despite not being directly involved in the protest and, once those protests had been dealt with, he decided that, with his wife, his safety was no longer ensured and he sought refuge at the US Embassy. He remained in the embassy for over a year, while diplomatic negotiations continued. Eventually he was allowed to leave and had an international career in his discipline, as well as speaking regularly on human rights and social responsibility. Of all the people on this list, Professor Fang died of old age, at 76, having managed to escape from the situation in which he found himself. We talk a lot about academic freedom, or the entitlement to academic freedom, but we often forget that there is a harsh and heavy price imposed for it, depending upon the laws and the governments in which we find ourselves. That is a hard and heavy lesson. Some of you will not be able to talk about Alan Turing, because he was gay. 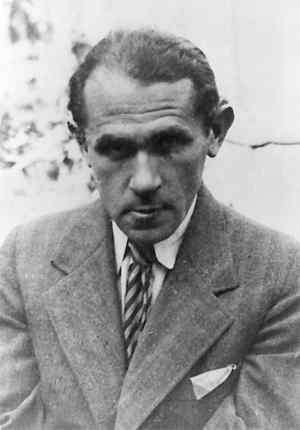 Some of you may have difficulty discussing Bruno Schulz, because of the involvement of Nazis or because he was a Jew. Some of you have may have stopped reading the moment you saw the picture of Fang Lizhi, because you didn’t want to get into trouble. Please keep reading. So let me give you the story of the first man on this page. Let me tell you about a man who was a bank investigator. Recently divorced, with a youngest child of 17. I want to tell you about him because his story is the simplest and the most complex. He has no giant academic backstory, no grand contribution to literature, no oppression to fight. He just choose to be good. 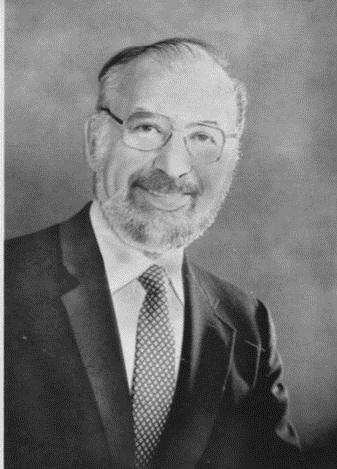 In 1982, Arland D. Williams, Jr, was a passenger on board a plane from Washington DC to Florida, Air Florida Flight 90, that took off in freezing weather, iced up, failed to gain altitude and slammed into the 14th Street Bridge across the Potomac. The crash killed four motorists and the plane slid forward, down into the Potomac, with the tail breaking off as it did so. There were 79 people on board. Only 6 made it up and onto the tail, which was still floating. When the rescue helicopter got there, they started recovering people from the tail section, dropping rescue ropes. Williams caught the rescue ropes multiple times and, instead of using them for himself, he handed them to the other passengers. Life vests were dropped. Rescue balls. He handed them on. The helicopter, overloaded and struggling with the conditions, got every other survivor back to shore, sometimes having to pick up the weak survivors multiple times. But Williams made sure that everyone else got helped before he did. Sadly, tragically, by the time the helicopter came back for him, the tail section had shifted and sank, taking him with it. As it happened, Williams had made so little fuss about himself during his actions that his identify had to be determined after the fact. It would be easy, and cynical, to describe human beings in terms of animals, given some of the awful things we do. Taking away a man’s livelihood (maybe even killing him) because of who he’s in love with? Killing someone because you have an argument with someone else? Persecuting someone for trying to pursue science or democracy? Yet their stories survive, and we learn. Slowly, sometimes, but we learn. Here is your counter example – Arland Williams. Here is your existential proof that revokes the “WE ARE ALL LIKE THIS” Myth. There are so many more. Go back to the top of the page and look at that ordinary, middle-aged man. Look at someone who looked down at the freezing water around him and decided to do something great, something amazing, something heroic.